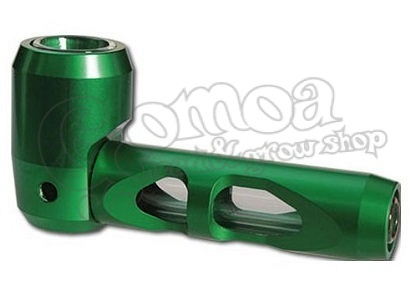 Unique green metal pipe with glass inner part. The glass inner part is easy to clean and it has no bad taste. Bad taste is often accures by using metal pipes.